Providing you the best range of crane gear boxes, crane duty gearboxes, double girder cranes, single girder eot crane, overhead eot crane and eot cranes with effective & timely delivery. 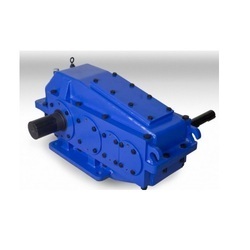 Matching up with the ever increasing requirements of the customers, our company is engaged in providing Crane Duty Gearboxes. Matching up with the ever increasing requirements of the customers, our company is engaged in providing Crane Duty Gear Box. 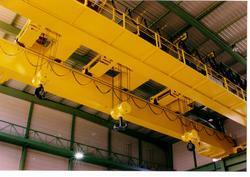 Double Girder Cranes offered are well recognized for delivering high quality operations in given usage areas. We can make these Double Girder EOT Crane available in different operational capacities in box type construction as well as oil splash lubricated gear box as well as presence of precision machined cut gears pinions that provide for durable as well as consistent usage values. The forged steel and wheel assemblies also ensure smooth movement of these Double Girder EOT Crane even over rough surfaces. Our clients can avail from us a wide range of Single Girder EOT Crane which is light in weight and offer up to 15 ton capacity.We offer Single Girder EOT Crane which are economical, safe to use, efficient, simple, rough and adaptable. These Single Girder EOT Crane do not require any additional worker to operate and have a lower wheel load which reduces the column cost. Moreover, the lower headroom also cuts down the building height and cost. Leveraging on the backing of well-fortified infrastructure, we are able to offer our patrons a wide collection of Overhead EOT Crane. 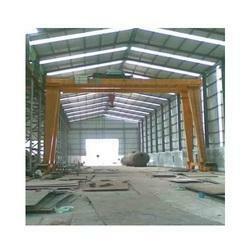 These cranes are extensively used in engineering and automobile industries. These products are fabricated under the strict direction of our qualified professionals using quality assured components and advanced technology. Our offered crane is inspected on numerous parameters by our quality experts so as to deliver a defect free range. Our clients can avail from us a wide range of EOT Cranes which is light in weight and offer up to 15 ton capacity.We offer Single Girder EOT Crane which are economical, safe to use, efficient, simple, rough and adaptable. These Single Girder EOT Crane do not require any additional worker to operate and have a lower wheel load which reduces the column cost. Moreover, the lower headroom also cuts down the building height and cost. 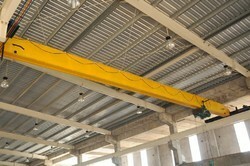 Girder Crane offered are well recognized for delivering high quality operations in given usage areas. We can make these Double Girder EOT Crane available in different operational capacities in box type construction as well as oil splash lubricated gear box, as well as presence of precision, machined cut gears pinions that provide for durable as well as consistent usage values. The forged steel and wheel assemblies also ensure smooth movement of these Double Girder EOT Crane even over rough surfaces. We can make these Double Girder EOT Crane available in different operational capacities in box type construction as well as oil splash lubricated gear box as well as presence of precision machined cut gears pinions that provide for durable as well as consistent usage values. The forged steel and wheel assemblies also ensure smooth movement of these Double Girder EOT Crane even over rough surfaces. 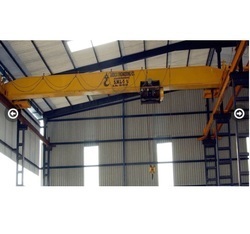 Neer Industries is a well established name in the field of manufacturing, wholesaling and trading Heavy Duty EOT Crane which is used all over for lifting or relocating heavy load. 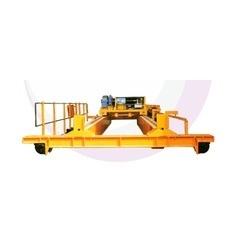 Our range of EOT Crane is specially designed to suit any type of work and is equipped with the mechanical means for traveling in both directions and raising and lowering a heavy load with ease. Further, clients can purchase this crane from us in varied specifications at pocket friendly prices. 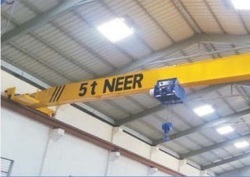 Neer Industries is a well established name in the field of manufacturing, wholesaling and trading Material Lifting Cranes which is used all over for lifting or relocating heavy load. Our range of EOT Crane is specially designed to suit any type of work and is equipped with the mechanical means for traveling in both directions and raising and lowering a heavy load with ease. Further, clients can purchase this crane from us in varied specifications at pocket friendly prices. Material Handling Cranes offered are well recognized for delivering high quality operations in given usage areas. We can make these Double Girder EOT Crane available in different operational capacities in box type construction as well as oil splash lubricated gear box as well as presence of precision machined cut gears pinions that provide for durable as well as consistent usage values. The forged steel and wheel assemblies also ensure smooth movement of these Double Girder EOT Crane even over rough surfaces.